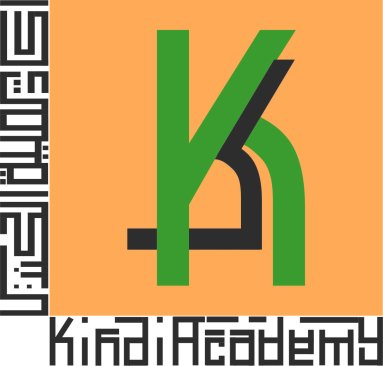 ​One of the great gifts you are bestowing on your children is that of education at Kindi Academy. The school is founded on the belief in rigorous and quality education that meets the challenges of the current times we live in. By the time a student leaves Kindi to high school, he or she is well prepared to take on Honors and AP classes in Math, Science, and Language Arts. Our curriculum and methods are always in review and are updated to keep our students with an edge over all others when it comes to knowledge, skills, and competence. Naturally as we work with children on a daily basis, our teachers deal with social and emotional issues that children experience in their daily life in and outside the school. These issues can sometimes hamper the education of a brilliant and capable student and form a mind block to their success. This year, we started a Social Emotional Learning (SEL) program in grades 4 and up. It is working wonders with students! We work on issues of individual experiences and group behavior. Students are receiving it well, opening up, and becoming more understanding of themselves and others. I am so proud that Kindi took this step to address the whole child. This is making our students feel more secure and helping them be happier individuals. A strong and essential piece for any education system to work is parental involvement. Parents are the Primary Educators of their children especially when it comes to matters of habits, attitudes, culture, behavior, and beliefs. Children are more likely to follow in their parents steps than in anyone else. A child is more likely to read if he sees mom or dad picking a book and reading. A child is more likely to have a tendency to help and care about others if he watches his parents do that, and so on. My recent reading of Steve Jobs biography shows how much he and his partner, Stephen Wozniak, were influenced by their parents lines of work and characters. At Kindi, we are trying to do our slight piece in engaging the parents with our Parents Engage Series which we started this year. The workshops and seminars will help parents more understand their children and as such raise them more effectively. At Kindi, we know our students are performing academically well since our curriculum is designed with high objectives in mind. However, we did not want to live in a bubble and just believe our own claims. This year, we started benchmarking students in grades 1 to 8 (soon KG) three times a year (Fall, Winter, Spring) using highly informational, effective, and low-impact tests (tests that take only few minutes to run). The majority of our students performed very well and many exceeded our expectations, reaffirming our original convictions. These tests are also useful for intervention with students who need the extra help to meet the grade level goals and objectives. Such group will be tested on a weekly or bi-weekly basis to see the effect of our intervention and modify plans as necessary. This information is handed to the next-grade teacher to continue with the intervention plan. Our goal is for all students to outperform their grade-level expectations and work at their highest possible level of achievement. Our small class settings allow us to work with each student individually if needed. No student at Kindi will leave 8th grade not being well prepared for high school. This is an objective that is set in stone! One of our major achievements this year was to expand our Accelerated Reading (AR) program to grades 1 to 3. The students are abuzz about reading and those who did not care much previously are getting their eyes trained on books in a big way! We are happy about the excitement and energy surrounding this program. To encourage even more reading, we have the Free Six Flags tickets coupons and the Ozzie Reading Club programs offered to our students as well. We are celebrating the Black History Month during February. The history of black slavery in America is a major component of understanding the formation of the United States itself. It unveils the evil and oppressive nature of the human kind on one side and the longing for freedom, liberty, and equality on the other. Students study the struggle of this community to win its natural-born rights, not only for its own but for all of those to follow in later times. Students study the fight to empower the great law of the land, the constitution, itself being breached at times by the same hands that inscribed it. They also understand that history has a tendency to repeat itself in a different disguise and with different subjects, which makes this fight for rights an eternal one. Students in Middle School study the Constitution this month and bring to live debate landmark Supreme Court cases such as Brown vs. Board of Education to better understand the intricacies of the topic. In Art classes, students created African art pieces to honor the month. Students in different grades researched African personalities of whom many changed the shape of this country and inspired freedom movements around the world. Many new programs were added to our school this year. The after-school Soccer Shots is a hit with young students. The Keyboarding Music session for our Lower Elementary children is fun and a break away from work. The Gym and Drama classes for Upper Elementary and Middle School are received very well and students extremely enjoy them. We also have Math Monsters, a new after-school program for students in grades 4 and 5 showing interest and potential in math. The Arabic Spelling Bee is a great program we’ve started this year to help students learn the words and their meaning as the mastery of any language is measured by the vocabulary a person knows. We hope to expand this idea to Spanish in the future. More targeted clubs and programs are in the workings such as Computer Programming, Stock Market Game, Battle of the Books, Science Fair, and more. Our Summer Program details for the months of June and July should be coming out in March so keep an eye for that. Our New Registrations for the next school year will start towards the beginning of March as well. I have included samples of work for our young children (KG and 3rd grade). Take a look and see why Kindi stands miles ahead from any other education system around. Together, we can prove that all students can have great education if adults set their minds on it. Only together, we can make Kindi truly a hub of young innovators, activists, thinkers, scientists, and scholars. Let's make Kindi the place for SUCCESS! I wish you all a warm winter and we’ll talk again in spring! P.S. Do not forget to check the samples of KG and 3rd Grade Writing! We love Geography Here at Kindi! Meet our Story Teller, Daneille Kethleer. ​The Kindi Scientists have been hard at work since the end of winter break exploring the depths of space, becoming engineers, dissecting new and exciting things, and even learning how to do a little car shopping for the perfect green vehicle. The 8th graders wrapped up physics before break and have dived into the mystery that is life with an in depth study of biology. They are currently exploring cellular processes and soon diving into DNA! 7th graders are studying complex hydrocarbons and alternative energy. 6th graders are near to finishing their exploration of the body systems which included dissections of a chicken wing, sheep brain and cow eye. They are wrapping up with a bacterial sampling from different locations in the school using the humble potato. 5th graders are deep in the solar system and completed papers on their favorite planet and made some really great models of the solar system. Soon we will journey to Mars to use NASA inspired curriculum to build Mars rovers. 4th graders have grown into great little scientists, as they explored what it takes to be an engineer. They built boats and some pretty amazing bridges. Currently we are studying the wild world of weather! All my young minds are working hard designing projects for the science fair on March 24th. We have a amazing variety of topics from all sciences, engineering and even psychology to look forward too! Our Mathcounts Team Rocks! Math Monsters to Follow! It was a good Saturday on February 13th! My Mathcounts team placed 6th among 19 participating schools including some of the strongest districts around. We also had 3 students placing in the top 25% amongst the approximately 160 students taking the test. Not bad considering our very small pool of students compared to some schools that have hundreds of students to choose from. These students are the best in Math in this whole area! You just need to know that this is a very prestigious Middle School Math competition sponsored by the likes of Northrop Grumman and the Department of Defense. Othes corporations like Goldman Sachs, Google, Microsoft, and other follow its outcome as well. We have two programs in the school that work with talented students in Math: Mathcounts for Middle School (grades 6-8) and Math Monsters (grades 4-5). While we individually work with students who need help in any subject, Kindi is strongly committed to developing the skills of talented students in any subject, especially in math. To prepare for a stronger showing for the school in the future, we are starting the Math Monsters Club for aspiring students in 4th and 5th grades. I truly believe in training and practice to lead to perfection. We are going that road now! Wish us luck! We Won Private Schools Spelling Bee! ​Sarah Ahmad from 8th grade, our School Winner for Spelling Bee, was also a winner last Thursday, February 11th in the Private Schools Spelling Bee where students from the private schools in DuPage were represented. She will now advance to the DuPage Bee on Wednesday, February 24th. Congratulations to Sarah and best wishes on the next challenge! Above, you will a picture of Sarah and some pictures from the School Bee held back in January. I am proud to say that the toddlers are very enthusiastic with fellow classmates and the new materials. As toddler care givers, we thoughtfully prepare our environment to remove any barriers to nurture independence and concentration. We try to connect toddlers to the work which matches their abilities. We focus on their interests and developmental needs. On a daily basis we are working on facilitating independence in potty training . Due to the fridge temperature that we have recently been experiencing, the gross motor activities have been mostly indoors. Movement and dancing to songs, walking, jumping, running on the line, and ﬁve little monkeys are super hits. We encourage larger motor skills by having our students walk on the balance beam, go through the tunnel, jumping mat, pushing the wagon, and riding our bikes. These activities have been a lot of fun. We are also taking walks when the weather permits. We will miss Tayseer and Ryker who are transitioning from the toddler’s classroom to the 3 to 6 classroom. It is always hard to see them leave but we get to see the child mature and move forward in their early education. We started the year with great focus on building the math and language skills across all ages in our class. We put more time towards math, reading, and writing with ages 4 and 5. Come May, our goal is to lift all students to Kindi's expectations, and to facilitate a smooth transition to the next level. It is the winter season and classroom activities will be related to the season. This will include the study of Antarctica and Penguins. Concepts of migration and hibernation will be discussed. We will talk about animal behavior as a part of our study. The classes will continue the study of United States of America as we read about the legendary Martin Luther King and his works for the country as part of the Black History month. The Kindergartners will research their assigned states and they will present and talk about them in class. As part of Montessori education, students are taught to handle real life situations. Our 3 and 4 years olds spend some time in the Practical Life section of the classroom where they learn buttoning up, pouring liquids, cleaning after themselves, folding, and many other life skills. We are proud of all our students as they are making considerable progress this second half of the year. We are looking forward to meeting all of you on Parents Night(s) ! We have entered the second half of the school year and it is going to be a busy one. Our first year students in the month of January worked on a chapter book, parts of a reptile, parts of a leaf, landforms, poetry, nouns, time, measurement and bead frame addition and subtraction. The second year students worked on a chapter book, poetry, fractions, types of roots and types of leaves, types of verbs, times tables, checkerboard multiplication and planet research (Mars). The third year students worked on a chapter book, poetry, interjections, measuring angles using a protractor, area and perimeter, adding and subtracting fractions, vital functions of a vertebrate, mammal and Earth's transformation, and plate tectonics. Students are feverishly learning new material at a voracious speed and we kindly request that you do not remove the students from the class on extended family matters. School attendance is precious to a child's education. Our A.R. (Accelerated Reading) program is going full speed. The children are excited to read. Once a book is read, a student takes a short comprehension quiz on the book at school. Based on their scores, students collect points. Once a student receives 30 points, he or she decides on a theme for their Spirit Day. On Tuesday, January 12th, a storyteller, Danielle Keethler visited the class and talked to children about the story writing process. Kindi is big on Writing and our visitor truly inspired our students and motivated them to write. Arriving in school on time brings peace and harmony in a child’s day. Please allow an extra 15 minutes for the unforeseen circumstances that creep up in the morning. Also, we would like to place a fish aquarium in our classroom. If you have a spare aquarium with a filter and other fish accessories and would like to donate it to our classroom, we would really appreciate it. We also want to thank our Parent Vounter Ms. Andrea Bynum for visiting our class and discussing Black History Month. ​The students in Upper Elementary continued their exploration of different genres in literature. They studied Folklore in Fairytales and Fables and are continuing their study of Myths and Legends. We have begun our lessons on making a bibliography and learning how to cite our research findings. The students began learning about effective and succinct searching through different search engines and to be able to identify hoax websites that will pop up if they are not knowing how to properly and effectively search the web and how to go about making sure they find the most appropriate sources. The students learned about Andrew Jackson, the "People's President". They are continuing to study the U.S. history from the beginnings until the Civil War. Many group projects were initiated and completed in the class. Check the Hallway in the 4th-8th to see what great job the students accomplish. The 2016 Primaries are upon us and the 6th, 7th and 8th graders have been researching all the candidates. Each student has been assigned a candidate or two and have completed a campaign poster for them and gave speeches. We held our own elections for the President and had Bernie Sanders being the next President of the United States. We will see how that agrees with the vote in November! 7th and 8th Graders have also completed their study of Ancient Rome. They learned about the way of life of Romans and how Rome has influenced America, such as within the government and architecture. 6th Graders have completed their unit on the Roaring ‘20’s. We enjoyed researching the music and atmosphere of the time period. The students are now “playing” the stock market as we study the Great Depression. Each student has the opportunity to “invest” their money into various companies’ stocks to see which one will earn them the most money. In English and Language Arts we completed our unit on fables and each student produced their own fable. They then turned their fable into a graphic novel utilizing comics using Pixton as platform. Each student did a wonderful job and depicted fantastic morals through their writing. They are now studying Shakespeare’s comedic play “Twelfth Night” in preparation for our March field trip to the Shakespeare Theater at Navy Pier. Sample Comic Book from Middle School! ​Arabic: In this month we started applying the Montessori Global Grammatical system into Arabic. We are learning to build correct Arabic sentences with hands-on activities. January was Soccer month for our 4th-8th grade Kindi students. This was probably the students' favorite unit thus far. They learned how to dribble, and rake as well as specialty skills such as pull-back play-away, fake shot-V and swivel step-over. We began the semester by discussing the components of a great script. They have been working diligently in groups to write their own 10-minute play. Each group will be performing their play at the end of the school year. Up until the performance day, each student will experience writing dialogue, sketching the costumes, creating a list of props that they will need, sketching the backdrop and memorizing their lines for the show. This project will give them a different view into this form of writing and a sense of teamwork. It will promote critical thinking and instill an appreciation for how important it is to look ahead at the big picture. Once they have that complete picture they will need to make decisions, as a team, in order to accomplish that set goal. Noticias del Español (Spanish News)! ¡Me gusta! (I like it!) What foods and drinks do you like? 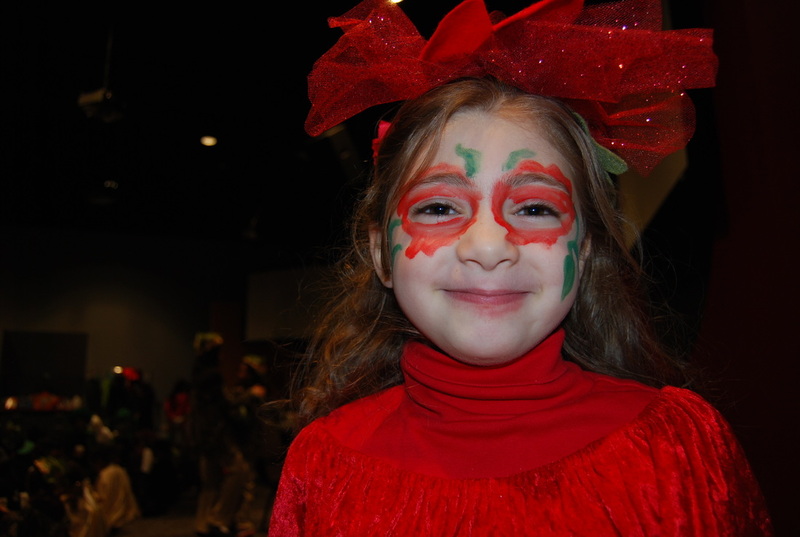 Our 3-6 yr. old classes can tell you in Spanish! They have learned many new words like "queso" (cheese), "pollo" (chicken), and "jugo" (juice). The 1st grade Spanish also completed an expanded food unit, culminating in a tortilla-making experience with dough and a real tortilla press. Next up is the Spanish alphabet and our family unit. Our 2nd graders are reviewing parts of the body, learning to express aches and pains in the body, and incorporating action verbs in their sentences. Ready for an adventure? The 3rd grade Spanish class is! They have embarked on reading their first Spanish novel: "Las Aventuras de Isabela" (The Adventures of Isabela). They will be learning many new verbs and useful vocabulary as they follow Isabela's experiences visiting México. Encourage your 3rd grader to read the chapters out-loud at home and tell you all about it! For Kindergarten and Elementary : Our classes are working in learning the proper Salah and Wudu (cleansing) steps. Besides, we are encouraging them to practice the five daily salah through the day by sending a weekly table to monitor that. We were working with adjectives. We learned that in Spanish adjectives must agree with the nouns. We studies the verb "ser". The verb "ser" is used with adjectives to describe people or things. We learned new vocabulary "Las profesiones". Students made a picture dictinonary of "Las profesiones". Read and understand information about foods and beverages for breakfast, lunch and food for holidays. What is your favorite food. We talked about likes and dislikes. "Me gusta...me encnata"
Present tense of -er and -ir verbs. Students made a booklet "Mi libro de la comida"
Read, understand and describe a house and household items. Vocabulary: we worked with flashcards to recognize the vocabulary: rooms of a house, furniture, household items. Students learned ordinal numbers: indicate the order of things. Use of verb "Ser" o "Estar" to talk about people and things. Kindi Academy offers amazing activities for our students. Check out our gallery to see pictures of them. We raised funds for Leukemia patients and we involved our students and families to collect Pennies for Patients boxes. A special thanks to our parent volunteer Ms. Andrea Bynum who came in to our 6-9 and discussed famous African American women for Black History month. We truly thank her volunteering. In the afternoon of Fridays we have started our Soccer Shots program for ages up to 9 years. This program promotes team building, soccer skills and agility. This is also our first year to start our Box Top Program. We held a very special assembly to educate our students all about it. Our Music Keyboarding sessions are going on and the students will be advancing to the third level! ​​Reading Moms: Twice a week, mothers from the 3-6 Program volunteer to assist our young students in becoming better readers. We appreciate all moms participating in this effort. To educate and help our parents understand their children, we help one seminar as part of the Parents Engage Series. This one was in January with the title "Mindset of our Youth" and our speaker was Dilnaz Waraich. We encourage you to attend these FREE sessions. At the end of every month we hold a Bake Sales that is supported fully by our parents. We truly appreciate the help our volunteers provide in so many ways. February 16th-18th-Parents night for 3-6 Montessori classes. February 19th_Parents night for 1st-3rd grade class. February 25th- School wide Bake Sale. February 26th-No school for students-Institute day. March 2nd- Author Visiting writing workshop. March 4th- Shakespeare Field Trip Grade 4th-8th. March 16th- Class 3-6 Field Trip Cosley Zoo. Spring Break March 28th-April 1st.